There is the feeling in Dubai that after years of fairly lax regulation on project management – which had undoubtedly resulted in a large number of substandard projects, not to mention delays and budget overspends – the use of BIM can only serve to benefit Dubai’s construction industry. “The main BIM advantage is resolving design clashes between different disciplines –mechanical, electrical, civil – resulting in major savings in time and redundancies,” said Khaled Awad, the founder of Greenea and a consultant on the initial designs for Masdar HQ, in which he said that BIM was “indispensable”. “BIM is critical in complex structures and without such projects would incur sizable loses in time and money,” Awad said. The Dubai regulations will only apply to buildings over 40 storeys or more than 300,000ft2, as well as government projects including hospitals, universities and schools. Its focus on big projects reflects the fact that BIM helps to streamline complex development that utilises a range of stakeholders. Dubai’s decision follows the mandating of BIM on public sector projects in the UK, where level 2 BIM will be required by 2016. In the EU, BIM became compulsory in 2014. As a result, UK consultants are sure to benefit from a head start they may have gained from working in Europe, where BIM is far more common on large scale projects. In an April survey by UK company National Building Specification (NBS), of 1,000 architects and contractors using BIM, over 70% said that the technology had given them a competitive advantage. The GCC is no exception to this. 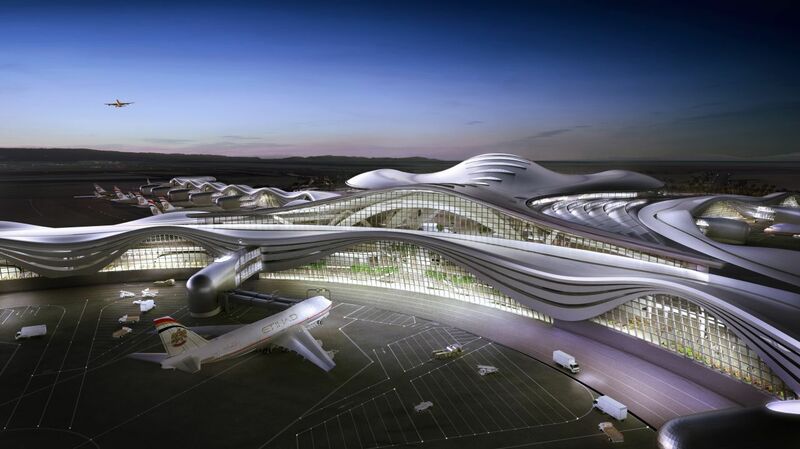 In November 2013, Abu Dhabi Airports Company revealed that it has been using BIM on the $3bn Midfield Terminal Building, which is likely to be the largest single shared model in the world. Tekla, a creator of building information modelling software owned by US-based Trimble Systems, recently handed out awards for innovative uses of its software in the Middle East, including Six Construct’s work on the recently-completed King Abdullah Sports City complex in Jeddah, and Eversendai’s use of BIM at Masdar’s headquarters at Masdar City. Critics point out, however, that while the use of the technology itself is now mandated and growing in the region, the spirit of the BIM programme – i.e. collaboration between all parties from the very beginning – will involve a change of mindset as well as a commitment to embrace new technology.